Money tends to place people under some sort of spell. We become mindless, cannibalistic zombies and will destroy our closest relatives to satisfy our craving for it. We walk around seeking out victims that can be bled dry, who in turn, are also transformed into the same blood sucking parasite. We tend to lose our soul, sanity, and cognitive function just for the sake of financial stability. Believers suffer from the same illnesses of the environment we are part of. We are not immune to selfishness, greed, and control. Without accountability our desire for financial wellness will consume us and others. The damage is even more detrimental when inflicted by those in leadership positions in the Church. The reason being is that one bite from them and the infection is passed simultaneously to all those in proximity. Tithing is a Spirit killer. Instead of producing believers who voluntarily give their sacrifices toward God out of love, we’ve turned the Church into a manufacturing plant that specializes in producing redundant, carbon-copy dolls who perform the same function every time you pull the string. The Holy Spirit is suppressed, and discernment is subjugated when money is on the line. 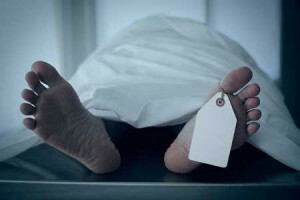 When it comes down to it, the evidence proves that Church leadership would rather have walking dead tithers, than living sacrifices for the sake of financial security. When ministers such as Rick Warren, TD Jakes, Mark Driscoll, Creflo Dollar, Joel Osteen, & Pat Robertson speak any words from the pulpit, automatically you will have throngs of people who soak in every word without going any further in discerning the truth on their own. I get it. Preachers aren’t perfect. I’m sure many of them mean well, but are blinded from the truth for some reason. The church, in general has many doctrinal errors, but tithing is unique in that it’s one of the only doctrines that transverses so many denominations. Out of the thousands of denominations, you couldn’t find one non-essential doctrine that we all agree on as much as we agree on tithing. Although i disagree with tithing, even I can see how the 10% minimum requirement thing is an attractive proposition to enact for the stability of Church budgets. Tithing is an impersonal, disconnected form of giving for those who wish to walk their life with the rest of the spiritually dead. 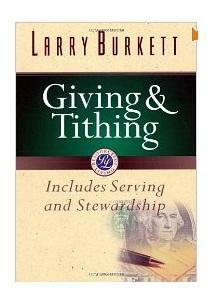 Giving a tithe to God is as intimate to him as you would feel from getting a paycheck from your boss. God does not want a salary. God created a path to communication with him when he tore the veil from top to bottom. The answers to his will were no longer encrypted within the law, they are now written on your heart. His intention was for us to seek his will and fellowship with others to determine how we should give. His intention wasn’t for us to be mechanical givers by calculating exactly 10.00% of our Adjusted Gross Income. Giving a set amount each week toward God is not worship let alone a form of giving; in a way it resembles taxation. When you pass by a graveyard, typically you will see hundreds of flowers placed by each grave. Each of the bouquets were placed by someone who once had a relationship with that person. Unfortunately the person is deceased and there has been no communication with them since. People want to make a gesture of thoughtfulness, so most place a bouquet beside the grave. Generic gifts are appropriate for those who are absent from us, although personal gifts are given when we can still sow value to those in our presence. You will not see gifts such as vacation packages, massage coupons, personalized coffee mugs, clothing, romantic letters, or electronics at the graveyard. if you do, most certainly they will not be used or seen. Each and every person brings the most common, generic gift to the grave because dead people cannot communicate their intimate desires to us. The redundant & stagnant nature of tithing is a generic gift that expresses the shallowness of our relationship with God more than it expresses our love, sacrifice and devotion. You may disagree, but reality is that if we gave the same way to our loved ones here on earth the same way we give to God, everyone would think you have some sort of social dysfunction. In the same way, tithing is nothing but a redundant gesture towards God we place at his gravestone. We place the same bouquet by his side each week assuming that God’s not present to confirm or deny what he wants otherwise. The way we are giving to God either illustrates our relationship is shallow or confirms that our communication with Him is dead. Israel was separated from God by the Holy of Holies, so tithing was an acceptable form of giving. We have a direct line of communication with God, and yet we replace the veil as if God is not willing to provide guidance with our giving. 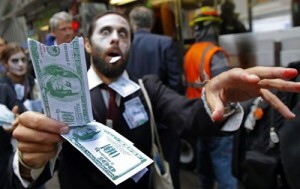 Chances of curing this tithing zombie apocalypse seem pretty slim at this point. Scholars that are typically exhaustive and thorough with their biblical research will become nonchalant and assumptive simply because money tends to have this mind control over us. The cure is simple, but not everyone believes in this spiritual vaccine. Releasing control over the pockets of the people and allowing the Holy Spirit to move in the hearts is the cure. This seems scary to pastors; probably more scary than zombies are. Yes, leaving the Holy Spirit with the task of moving believers to give is scary. I don’t trust people’s ability to give freely either. Our spiritual nature tends to be unstable and inconsistent, which at times can produce seasons of great harvest and also times of drought. These flaws can be harmful to those who need our generosity to be bountiful and consistent. But we must acknowledge that if God wanted consistent and stable followers, he would have created robots. In the old testament Israel’s worship was spelled out. Specific people had to serve at these exact times and at this exact place. At the same time, other specific people had to give these exact things at these exact times to support them. In the Old Testament, both the minister and supporter were bound by the same law. There was neither discernment about serving nor discernment about supporting. The system becomes completely broken when ministers are spiritually led by discernment of the Holy Spirit while supporters are shackled by laws that require them to give just because a minister exists. Tithers are forbidden to exercise wise judgment when supporting (untested) ministers. Spirit led giving and Spirit led serving should work together to bring accountability to the system otherwise all the liability is placed on the giver. It’s time we start believing that God provides givers for his vision in the same dynamic way he provides servants for his mission. I don’t see anyone commanding others to serve in the Church, go to seminary, or be a missionary; so if we can rely on the Holy Spirit to move others to serve, why are we reluctant to allow the Holy Spirit to move others to give? The cure is simple, but not plausible. Stop following the mindless and lifeless cause of tithing and start living with the dynamic and fulfilling purpose of Spirit-led giving. Your life, family, Church and community will be transformed through sacrificial giving. Test God and his promises. I didn’t realize that my comment(s) were inappropriate on your blog. Please accept my apologies and I ask for your forgiveness.